Other Web Sites which may be of interest. This site gives a history of the Garden City, books for sale, and links to other sites. 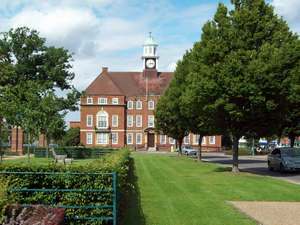 www.letchworth.com is the website of the Letchworth Garden City Heritage Foundation and carries information about the First Garden City Heritage Museum at Norton Way South, Letchworth. The museum is well worth a visit. This is a website dedicated to the family history of the Shelvoke name. The Picture Gallery includes a photograph of the Tramocar at the Amberley Bus Museum, and a selection of trivia about Shelvoke & Drewry. Fred Kee, former Public Health Inspector at Lisburn, recalls the Council purchasing a S & D Freighter in 1928 to replace horses. Scroll down the opening page to "Preface." Mentions Shelvoke & Drewry on its Web page, and has two examples in its collection, but stored and not on display at present. 500 pictures which change continually. You should find some S & D's there. https://baldwin.britishmotormuseum.co.uk/ This site houses the Nick Baldwin Collection which includes many items of interest to SD Enthusiasts. www.letchworth.com The First Garden City Heritage Museum has an archive collection of material relating to Shelvoke & Drewry. www.tigerdude.com/garbage/ Tiger produced this website of garbage trucks because no-one else had done so. www.classicrefusetrucks.com Classic Refuse Trucks (CRT). The subject of this site is mechanical refuse collection equipment. Through photos and articles Eric Voytko hopes to show how the state of the art evolved from the most basic self-loading wagons into the modern high-compaction truck of the 21st century. Mostly, he hopes it is enjoyable to all, be you an enthusiast, industry professional or just a browser. The modern refuse trucks of today are surely safer and much more efficient, but many of us still have memories of interesting vehicles of yesteryear. At CRT, a non-profit website, the memories of the classics will live on. "This is a labor of love." 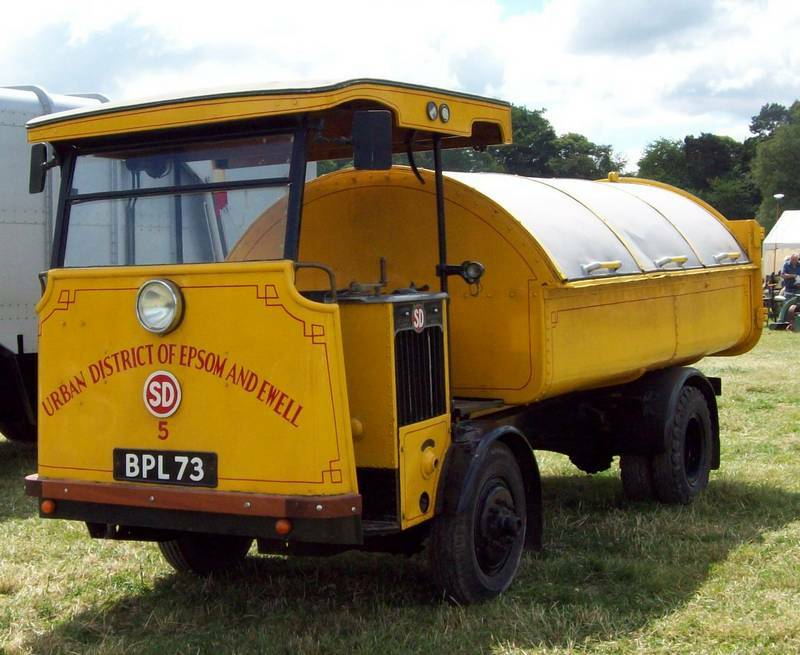 A 1920's Epsom & Ewell Freighter appeared in the feature film of Dads' Army. A 1935 Freighter was based at this Museum, but passed to a private owner in the summer of 2009. The Museum houses a 1938 Lacre Road Sweeper which was designed by James Drewry. A Replica Tramocar on freighter chassis is displayed at this Museum, and is regularly in operation. Arranges the annual London to Brighton run in May and the Trans-Pennine run on the first Sunday in August. 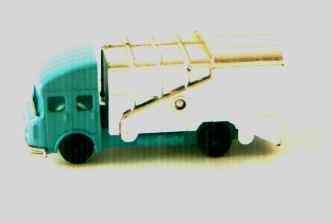 This excellent site gives details and pictures of over 3,000 Diecast Models by Dinky, Gorgi, Matchbox, Husky etc.and includes a S & D Pakamatic. Simply type in "refuse truck" and you'll find details of the models. A Model in kit form of the SD Freighter can be obtained from S&D Models of Burnham on Sea. 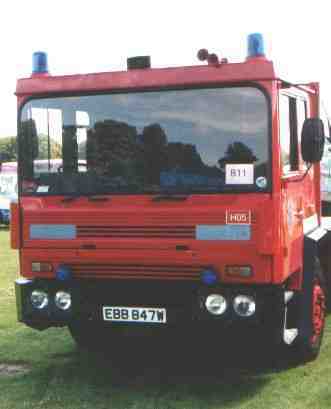 Two Shelvoke & Drewry Fire Tenders are pictured on this Web site. ETN 909 W is a SPV Emergency Tender, and EBB 847 W a Foam Tender. Don't be alarmed if using this link! The two Shelvokes share a home with a host of Dennis' appliances. Thanks to the Google Search Engine for finding the above links.